Despard is pleased to welcome the second exhibition by Hobart based artist, Sebastian Galloway. FISH is the second solo exhibition to be held at Despard Gallery, a slight departure from previous works this new series of paintings uses the traditional method of ‘still life’ to create contemporary takes on nature and the environment. Using light and focused detail the works follow the life of a fish, from life to death. Through the use of photography, collage and digital manipulation Sebastian recreates one-perspective scenes uses a single light source and focused detail to heighten the intrigue and drama of the image. The use of negative space gives the image a surreal undertone whilst leading the viewer questioning, what else is present. However simple the works are in composition, the result is far from a snap shot of the life of a fish, they carry incredible depth and wonder. 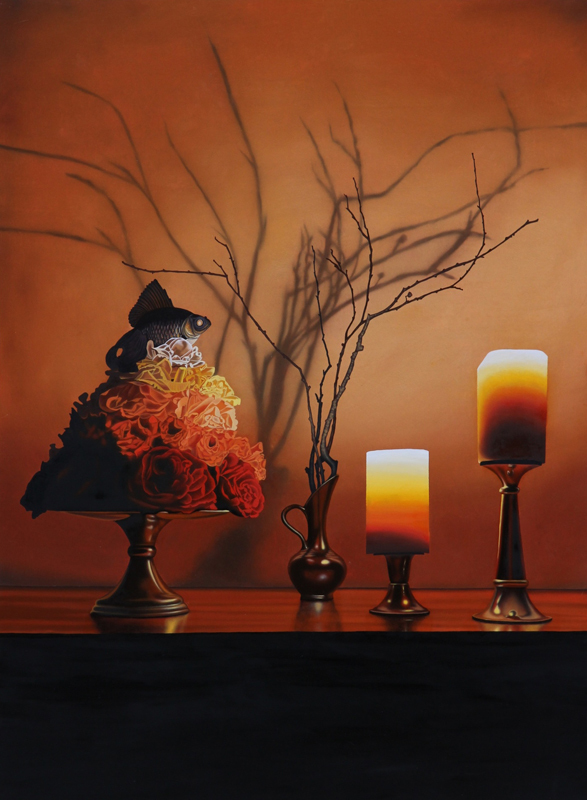 Sebastian Galloway is a Hobart based painter who graduated with a Bachelor of Fine Art from the Tasmanian school of Art in Hobart in 2013 and has since exhibited numerous times including one major solo exhibition at Despard Gallery. His works often use narrative to create intriguing and often atmospheric scenarios between the animal world and humans. Known for his diverse use of colour and hyper detailed realism Sebastian extends our understanding of reality and truth. 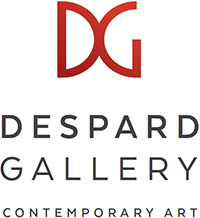 FISH is a collection of 8 new paintings to be opened at Despard Gallery on 13 May at 5:30pm. All welcome.